Bone broth has been very key in my own physical healing. I can’t wait to show you how the simple practice of making your own bone broth can impact your family! If you frequent many “real food” blogs you are sure to come by the term “bone broth” peppered here and there in recipe posts. So what’s the big deal? Why are we so obsessed?! When you properly make broth from the bones of healthy, pastured chickens, you are pulling nutrients, minerals, and beautiful gelatin right from the source! Before you make the decision to make your own broth, I encourage you to read “Broth Is Beautiful” – it was mind changing for me, and it will explain in much better words that I ever could how bone broth can help your family! My bone broth method is most likely no different than what you have seen elsewhere. My hope in this post is to encourage YOU that you can make this happen in *any* season of life. 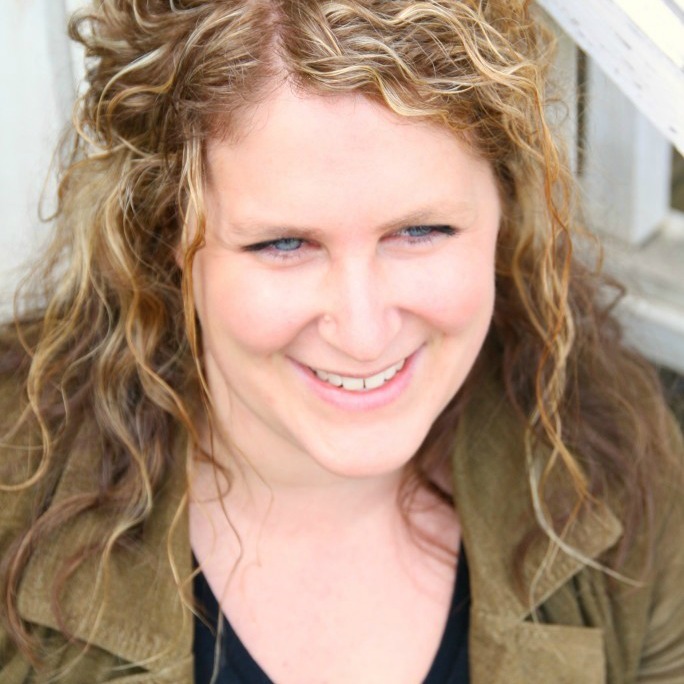 From the full time working mama, to the SAHM’s (or daddys! or grammas! or aunts!) this is so do-able. The method is always the same but there are many different options of how to get it done for what works for YOUR family! Put everything into your crockpot or oven roaster and fill with water to cover the bones by an inch-ish. Let the mixture sit for 30-60 minutes. DO NOT TURN THE HEAT ON YET. This allows the vinegar to extract minerals from the bones. Turn the crockpot on low or oven roaster at 200 degrees for 24-36 hours. Strain the broth. 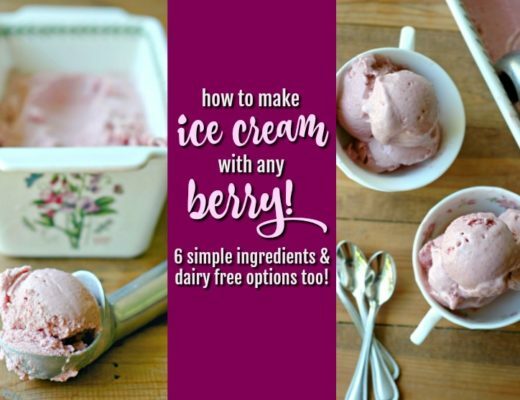 Store in the fridge up to 7 days, in the freezer 3-6 months, or deep freezer up to a year. Let the broth come to room temp before putting in the freezer. Leave the top off for 24 hours to freeze if you are storing in glass jars in the freezer to allow for expanding (or you will be very sad to see your cracked jar in a few days!). HERE is how to EASILY crockpot your chicken(s) and have leftover meat for the week or freezer! Ok so here are some options for making this work. You pick what works in YOUR house! OPTION 1: Crockpot a chicken once a week (or every couple weeks), and when the chicken is done cooking, toss the bones right back into the crock with cold water and ACV, let it sit and make your broth. OPTION 2: Oven roaster 2 chickens once a week (or every couple weeks), and when the chickens are done cooking toss the bones right back into the roaster with cold water and ACV, let it sit, and make your broth. OPTION 3: Crockpot or oven roaster your chicken(s) and toss the bones in a freezer bag and into the freezer. Once a month or so do a large batch of broth from your bones in the freezer in a couple crockpots or large oven roaster and make enough broth for a month. I do NOT add seasoning to my broth while I am simmering it. I use the broth for so many different things so I want to season it as I go! So when you use your broth for soup making, etc you will need to add plenty of sea salt to flavor it. When you are following recipes be sure to keep this in mind. Use your broth for soup making and drinking straight from the mug. You can also cook your rice or pasta in broth to make them more nourishing! Don’t forget the babes! 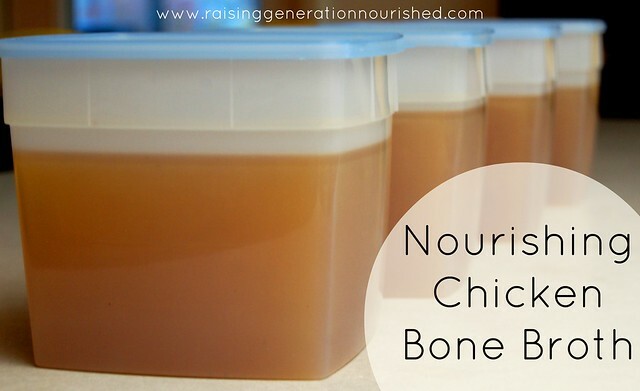 Bone broth is extremely nourishing and for babies over 4-5 months old and kids of all ages! I make my veggie purees for baby with bone broth and give it to them with a pinch of sea salt right off the spoon. When they are old enough for a sippy they take bone broth in a sippy with pinches of sea salt. 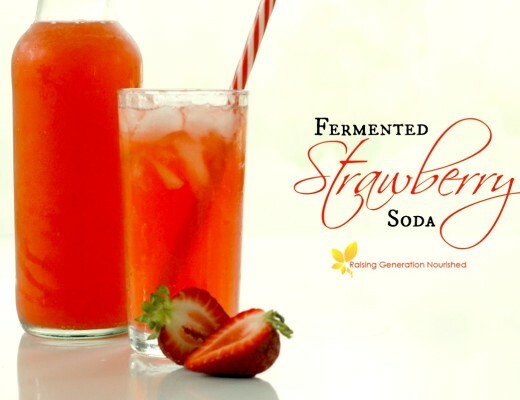 It is a fantastically healing and nourishing drink to have around when they are feeling under the weather. And I find that the sooner the taste is introduced, the taste palate is created for it and they willingly drink it! I of course prepare soups as well with the broth in it and that is a great way to get it in the kids too. When I was first starting out, (and working a LOT), I had “chicken day” on Monday. It was so nice to never have to think about what was for dinner on crazy Mondays! I would put the chicken in the crockpot before work and it was done when I got home. Then I would make my stock, and have meat for meals the rest of the week. If you have an older crockpot, the seal on the lid may not be very good and you may find the liquid evaporates – I used to put a big pot on the top of my lid to hold it down for a better seal! It works great. OR! Get one of these crockpots with a snap down lid on your wishlist for your birthday or Christmas! I am currently using my oven roaster for my broth making and I don’t have any evaporating issues with it. So talk to me! Do you already make bone broth? What is your method? Please share in the comments – I am by NO means an expert and I know there have got to be some options for making it that I have not thought of! If you have never made bone broth before, keep us posted how your first time goes! I read on the Spunky Coconut blog that freezing and heating plastic releases its toxins. I can’t find the article at the moment, not sure if she cited any references or not. Anyhoo, just thought I’d pass along that info in case you want to investigate it yourself. I’d give you some jars, if you lived close (I’m in Central FL). Thank you for the heads up Nikki! I never re-heat in plastic. But I have not heard that freezing in plastic releases toxins! I will be looking into that! These say they are BPA free but I understand sometimes there are other things. Unfortunately the BPA free alternative plastic is not much better in terms of the hormone altering chemicals they release in the process of heating and freezing. I always freeze mine in glass jars that are freezer safe! Hi Micchelle! I agree glass is always best although I don’t always have them available. Whenever I use these half gallon containers I cool the broth first and then put them in the container to freeze all the way. I freeze broth 1/2″ deep in stacked glass pie pans (with a plate in between) for an hour or til frozen solid. Then I run the bottoms of the pie pans under water til the “ice pie” spins in the pie pan. I remove the broth disc, break into 3″ pieces, then freeze in bags, handy to grab a piece for cooking rice, steaming veggies, or for a quick cup of warm broth. Slick & convenient! Even though I’ve seen a few posts on bone broth, I learned a few more things from your post, Renee. Thanks for that. Since I’ve been making my own bone broth for the past year, I haven’t been sick at all. I also use it in many ways, but give it to my parents also, to help keep them well. It’s definitely helping. Absolutely makes my day Cindy 🙂 Thank you for sharing! TIA!! Love the website!! Have printed out several of your recipes!! Today is day 1 of Whole30! Hi Chrystal! Great question! And yes just put the carcass right back in with the “water” left in the crockpot and add more water to completely cover everything up along with the apple cider vinegar. Hope that helps! Hi Rebecca 🙂 No I don’t skim the fat – just throw everything in there and save the time. Gelatinous is great – but not when it is warm – I would say you probably could have used more water – did you add water to the oven roaster when you turned it on? What if it doesn’t gel? Is it still good? I have been making broth for two years, trying your method for the first time. It’s been so hot here in Cali, I can’t imagine making soup BUT making it for my family to “drink” to stay healthy since everyone is getting sick. Question: do u add more water if some has evaporated & gets low? And can it be done in less than 24 hrs or is full benefit 24-36 hrs? Hi Dawn! Yes add some more water – the seal on your crockpot might not be great if you are getting a lot of evaporating – one of my crockpots is like this and i put an empty pot over the lid to hold the seal down better and that really helps! And you need to have at least the 24 hours. You don’t need to go more than that – every once and a while I will strain it somewhere between 20-24 hours if the timing is right though so you have a little flexability. Hope that helps! You are doing a great thing for your family! I’ve been making broth for years whenever I ended up with some bones. But your article inspires me to be more proactive with broth making. I have never cooked the bones more than about 12 – 15 hours, so I will be changing that process, thanks to you. I prefer to roast my chicken/turkey bones in a similar manner that you roast beef bones. I originally got the idea from a Paul Prudhomme cajun cookbook. It makes a wonderfully rich broth too! Thanks for all of the great info. Hi Gina! Great! 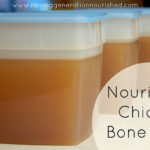 And yes I love roasted bones for bone broth – in the winter my chickens get roasted in the oven and I love the broth even more from those bones! I have been making bone broth for a while now and we love it!! Hi Petra! Good for you! And YES you lucky duck – get those chicken feet in there! They pull off a ton of gelatin! And nope just throw them in! No other work needed! Hello! Going to try this this week. Question – can the bones be “uncooked”? I deboned some chicken breasts to make chicken tenders and kept the carcass in hopes to use them for broth. Would that be a problem? Hi Kelly! I am not an experienced canner, but from what I understand you can pressure can bone broth. Hi Alecia! Yes! I often forget about the chicken feet because our chicken source doesn’t offer them – but they add a gelatinous punch to broth as well! I actually have a new chicken source starting this week and I have it planned to ask her about the feet – I’m glad you reminded me! Ok – this might be a silly question – but is the carcass considered everything but the meat? Do I put in more than just the bones? There’s the skin and cartilage, etc. I’ve always wondered if I should pick out just the bones or not? Also, is one chicken enough for one crockpot – or should I be putting more than 1 chicken carcass in there? My broth doesn’t look as beautifully colored as yours! It’s much lighter, even though I leave in for 36 hours or so. Hi Liz! No silly questions here! Ask away! Hi Kate! It really depends on how much water you put in the crockpot or oven roaster and how many chickens you use. If I make bone broth with one chicken carcass in a crockpot I’ll get 2-3 quarts of broth. When I make it with 3 chicken carcasses in my oven roaster it needs more water because there are more bones to cover so I’ll get about triple that – I usually get a good 2-3 gallons. Lately I have been doing it that way so I only have to make chicken and bone broth once a month 😉 I cook 3 chickens at a time, shred and freeze the meat, and then make the bone broth and it all lasts me a good month! This may be super ignorant, but I am just learning all of this! Can you replace bone broth in a recipe by using regular broth and adding grass fed gelatin? Hi Jennifer! You will get the great gelatin that way but you will miss out on the mineral content you get extracted from the bones that way. Bone broth makes minerals extremely simple to digest and absorb compared to supplements so it is a really great way to “supplement” what your body is probably missing in the vital minerals department. Does that make sense? Hi Terri! Your slow cooker probably doesn’t have a great seal so the water is evaporating over that 24 hours. One of my slow cookers is like that and I use a heavy pot on top of the lid to seal it down. You can try it that way! There are slow cookers with snap down lids that work really well if you end up in the market for a new one. That 12 oz you made is pretty concentrated so you can add another cup or so of water to it – then you will have enough to either drink or make some soup from it. Also be sure when you add the water to the slow cooker you are adding enough water to cover the bones completely by about half inch or so – sounds like your slow cooker’s seal isn’t great so you could add a little more than that to help make up for the evaporation. I hope that helps! Hi. I made the broth but it came out really thick and fatty looking even after removing fat from the top. Is it ok to drink? I appreciate your help! I am in the process of researching how to make bone broth for “babies” or if there is much of a difference. This will be my sons first food, so I would assume I should avoid cooking the chicken with herbs as some may still remain or get transferred to the bones. Also I’m not sure if you would happen to know if the use of apple cider vinegar would be fine? If there were to be any reactions you want to know what to trace it back to, right? Thanks so much for all the great info!! I did read through your other post which had great info. My one thought with making the broth with veggies is having not introduced those veggies to his diet just yet. If he had any reaction a person wouldn’t know what it was from? I’m not sure how much of the contents actually come out in the broth? Looking forward to browsing and reading through the rest of your site! Hi, when cooking the chicken broth do I use the water that I cooked the chicken in or do I add new water and add the bones? Your recipe states to leave bones sit for 30 minutes with ACV with no heat. Thank you so much! Hi Jayne! You can leave the juices from cooking in the pot and you will want to add a little more if the bones/carcass are not covered by a good inch or so – otherwise during the 24 hours that the broth cooks, the liquid will evaporated down too much. I usually add more water and acv and let it all sit. I hope that helps! Hi, im a little confused, I love making broth and read that the longer you simmer it the better. I then read that. if you cook it to long it will go rancid. Can you please help me which info is best? Hi Roslyn! Great question! 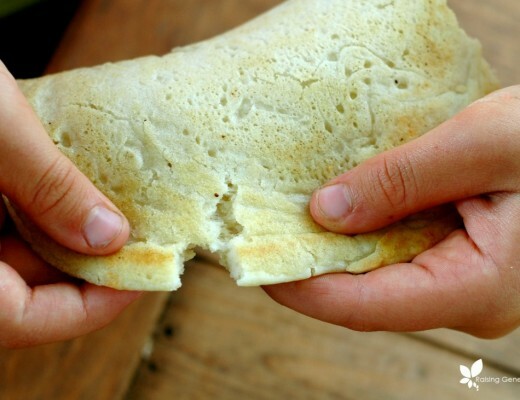 Nourishing Traditions and WAPF recommend 24 hours is sufficient to get the nourishment from the bones. Especially chicken bones being on the smaller side. Beef bones are a bit bigger and you can get a little more nourishment out of them – I typically do 2 “rounds” of 24 hours on big beef bones. So for just chicken bone broth the 24 hours is suffcient – you won’t get much more out of them after that. I hope that helps! Looking to change my families eating habits and believe the suggestions you made were a great place to start. I thought by eating salad we were doing ok but that appears this is false as we are using premade salad dressings so disappointed. I am going to tackle the pantry and fridge clean out tomorrow and try and make our own dressing for dinner. Thanks for the guidance! Kerry that is a great start! Let me know if you have any questions! I am just discoving bone broth thanks to a dear friend. What is the least costly way to purchase quality chickens in San Antonio TX? I cannot raise my own, and organic at the store is costly. Any other suggestions? Hi Cyndie! Great question. I would suggest checking with your local WAPF chapter (http://www.westonaprice.org/get-involved/find-local-chapter/) and just ask for local farmers – it is cheaper for me to purchase right from the farmer for sure. You could hop out to your local farmer markets too and ask around for pastured chicken sources. Local Co-Ops sometimes are helpful in cost minimizing as well – you can find those through your WAPF chapter too. I hope that helps! Plain white vinegar will work – it is the acid you are going for. You will want to be cautious with plain white vinegar from the store however for ingestion since it is corn derived and most US corn is GMO’d. Use what you’ve got but then when you can just grab some of the apple cider vinegar or make sure your white vinegar is organic so you know it isn’t GMO’d. I hope that helps! Hello! I have been so excited to finally try making my own bone broth! I did the crock pot method you described and it turned out beautifully! I just wanted to see if you think I did it right: I used one 3lb chicken carcass and some veggies for 24 hours. The flavor wasn’t as strong as I was expecting. It is most certainly wonderful though! Maybe I was expecting a more concentrated flavor? I just wanted to badge sure I did it correctly. But like you say, I can season as I please and can use it as a base for many things and season accordingly. Thank you! Sorry, *make sure I did it right. Autocorrect is horrific! Hi Heather 🙂 That all sounds fine to me! If there was more water covering the bones then the broth might be more diluted but there are still benefits to it – I do water down my broth some to make it stretch since I have so many mouths to feed on a tight budget 🙂 I like to keep my broth unseasoned until I use it like you said so that it can fit the dish I am making. Hope that helps! So I cooked my chicken in some stock and veggies. After, I saved all the liquid I the fridge to use for making my bone broth. I took it out a few days later and I thought there would be fat on liquid much like when you cook a turkey, but it’s all gelatinous! Why is that? And can I use it to make the broth? Hi Helena! That’s a good thing! Your bird was nice and full of gelatin! And yes you can use that in your broth making, or you can just use it straight up in a soup or stir fry! Thanks:) I made my broth and got about 4 cups out of it. Is that about norm for bones from a 5lbs chicken? Hi! I’m new to bone broth. I cant find whole organic chickens anywhere but I have been able to find organic drumsticks. Can I just use about 3-5 lbs of those? Thanks! I think that would be better than nothing Jamie 🙂 Have you tried looking on the “Eat Wild” website for your area? Sometimes local Co-Ops or farmer’s markets might be helpful in finding whole chickens as well – sometimes those chicken parts can get really expensive versus buying a whole chicken! Oops! Just saw where you said the water needed to be cold. I used the juice from the chicken and just a little water to cover the bones like you suggested but the water wasn’t cold. It was lukewarm wh. Ten I added the vinegar. Is that a problem? Will it still work? Thanks for the advice, I’m trying it! The chicken came right off even into the crockpot as I was trying to move it because it was so tender. A few questions-do I put fat and skin and bones back into crockpot as in anything that’s not the meat I’m going to eat or freeze? And also, after making the broth, are those veggies in there ok to eat or should I eat what I want before making the broth? Thanks! Hi Katie! Oh yeah I just throw everything but the meat back in there to make the broth! And yes you can use the veggies for soup if you want afterward! Leaving raw/cooked chicken submerged in water for 30-60 minutes would not pose any threat to the meat? This is the bones – not raw meat – being in the water. After you cook your chicken and have taken all the meat off the bones you place the bones in the water to soak and then simmer them for the broth. Does that make sense? Do you have to have the veggies? Just curious if it make a nutritional difference? I do because I like the flavor but I have done without before. Onions in particular give it a good nutritional boost specifically to the immune system. Once the broth is drained off the WELL boiled chicken bones, the leg bones become so tender that the ends can be chewed and the marrow sucked out. Super nutritious! Hello! Thank you for this article – I have made several batches of chicken broth this way. My question is: What do you use to strain the broth? There seems to be a lot of sediment (murky stuff) on the bottom of the batch. Do you just use it all? Perhaps I’m being too picky, but I was wondering if/how you strain your broth. Thanks! Hi Shannon 🙂 Great question. If the sediment bothers you, you can use a cheesecloth or tea towel to strain the broth. I am almost always dumping the broth into a pot of soup so it doesn’t really bother me. When we drink it from a mug sometimes I will pour my warmed broth into my French press to strain off the sediment if it is really heavy. I hope that helps! Just a tip: I find that I get more flavor and collagen out of the bones if I been them up before putting them in the pot. Just a tip: I find I get more flavor and collagenout of the bones if I break them up before putting them in the pot. HI Renee. Thank you for these suggestions. It’s too late for me today (to put the chicken in the pot) for dinner but I am definitely going to try this out for the next time. I have a question. Have you ever cooked duck and if so can you crock pot duck the same way as chicken? Can you use the duck bones for bone broth? Thanks, and I love what you write! Hi Kris! I don’t have access to duck but I hear duck broth is amazing! Since I have never cooked one before I’m not sure how it would do in the crockpot but the broth should be fine! Just popping in to give this 5 stars. I found your broth via a different website about 3 years ago now and it has changed my life and my cooking. So thank you so much for all your efforts and time! Could you please clarify something for me? If I am making a chicken in the crockpot, when it’s done and I remove the meat, do I leave both the water the chicken cooked in and the veggies that were cooked with the chicken in the crockpot and just add the bones and ACV back in for broth? Or do I drain out the cooking water and add in fresh water with the cooked veggies and ACV along with the bones for broth? Hi Nicole! Just leave the liquid and veggies left in the crockpot, throw the bones back in along with some ACV and more water to cover the bones by at least an inch and you’re good! I hope that helps! I have an Instant Pot, electric pressure cooker, it can also be used as a slow cooker. Any ideas on how I can make bone broth in my Instant Pot. do you use giblets when making broth? When I have access to them I do Angie! I’m so thankful for this post and all of the comments! I got a few of my questions answered by reading through them. Anyhoo, I finished making my first bone broth tonight! I’ll be using it to feed my baby. Everything seems to have gone well except…it really stinks! Is this normal? My husband said it just smells like chicken broth to him so I’m sure it’s fine and safe to eat. I just personally don’t want to drink it because it smells so strong of the bones part. Not sure if that makes sense or what I was expecting. I’m worried it’s going to be gross for my baby. Any insight would be helpful! Oh yeah and I made the mistake of pouring off the juices from the original cooking of the chicken if that’s helpful info. I just ended up covering with cold water and AC vinegar. Hi Beth! Yes bone broth can smell on the strong side. If you followed the directions it is perfectly safe to drink – I don’t particularly drink it straight up without simmering it with some garlic or green onion and herbs but all of my babies drank it right from the pot. It is just all they know really. Adults can have more particular palates because we haven’t grown up with it 😉 Also, no worries on pouring the cooking liquid off – actually with more kids in my house now than when I wrote this post I save that liquid and cook with it – it is like extra broth! It is called meat stock and while slightly different than bone broth in nutrients it is still nourishing and tasty! Oh man, somehow I JUST saw this answer! Thank you so much! Just made my second round of bone broth and it looks amazing. Used your site again for reference. THANK YOU!!! Just found your site today looking for tomato soup recipes. I’m enjoying it, as it’s many things we already do and love. I read a lot of comments so if this has been asked and I missed it- I’m sorry. What is the 20-24 hr process actually doing? Is it getting the marrow out of the bones? Someone locally mentioned to me they pressure cook their bones, for 90 minutes and the marrow is all falling out and it gels some when cool. What are your thoughts on this? I’ve googled and googled and haven’t come up with much. Is it okay for the veggies and ACV to be included in broth for babies? I have a 7 month old, and he hasn’t eaten anything other than breastmilk and avocado. Thanks! Hi Jennifer! I should be fine! I made it this way for all of my babies too! is it safe to feed the broth to a 6month old baby even with the salt content? Hi Mandy! You can sea salt your broth for baby for sure. They don’t need much but sea salt is rich in minerals that everyone can benefit from including infants ready for solids! Just sea salt it slightly less than your taste would enjoy! Question for you…some articles that I read say to skim the scum off of the top that appears within the first 15 minutes of boiling. The impurities float to the top. Does this apply to the crock pot method as well? 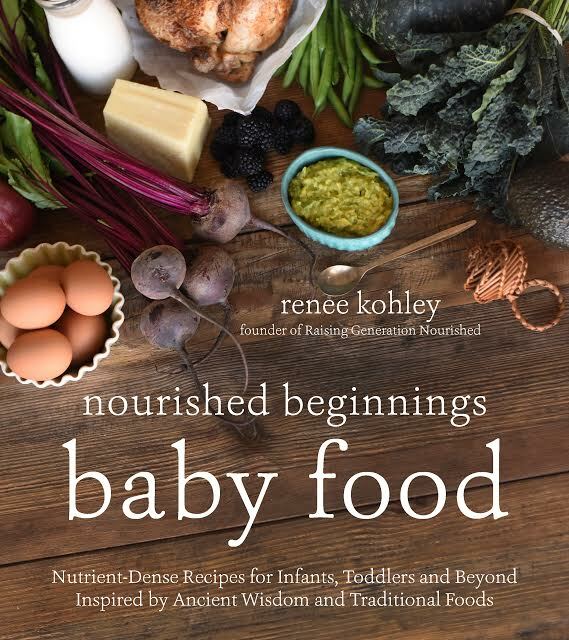 I’ll be giving this to my 5 month old as a first food so I want to give her best method of making bone broth.